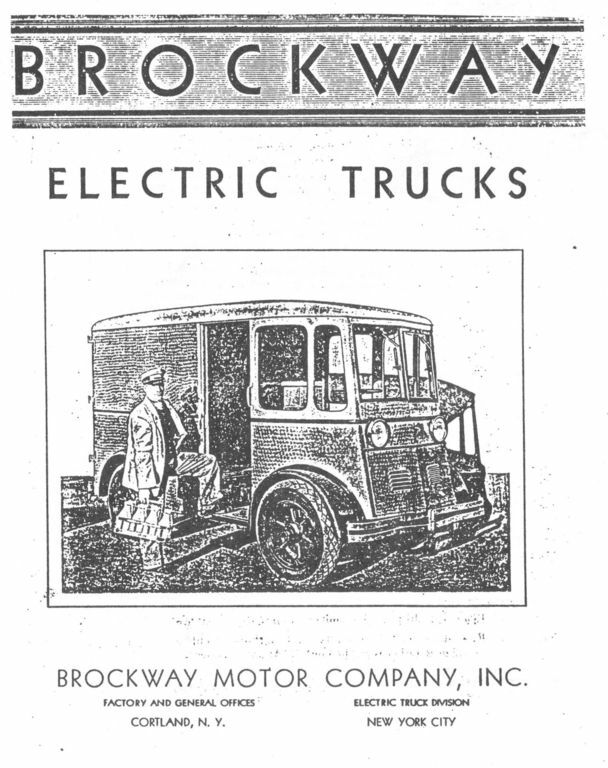 I need information/pictures etc of Brockway electric trucks for an article for the Syracuse New Times. 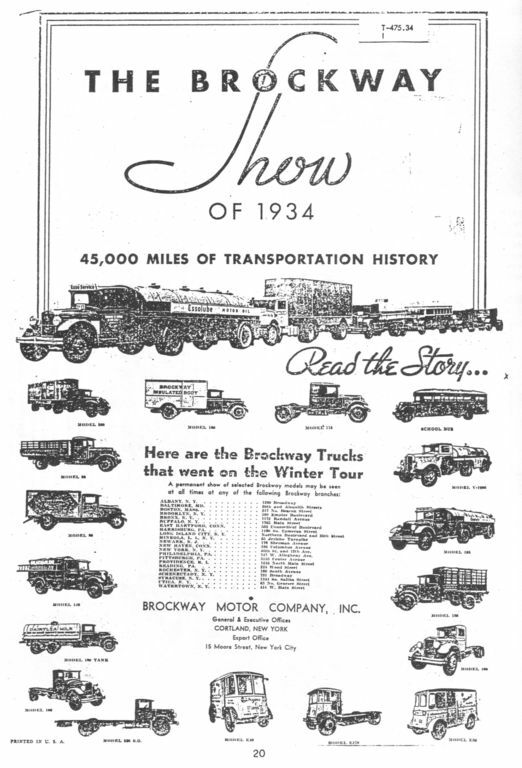 These trucks were produced from 1934 to 1937. Please feel free to contact me with any information on that subject that you have. Also -any info about a book by Herman Sass. Thanks. 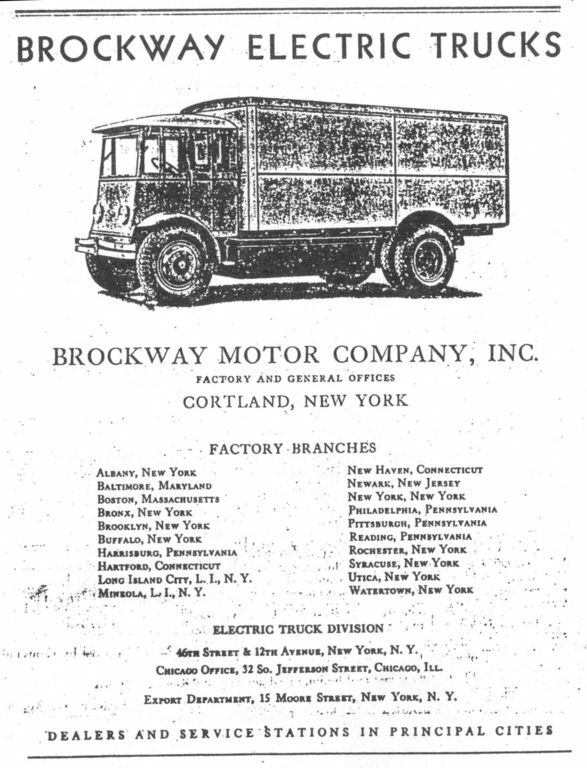 JT Hall jthall44@hotmail.com [b]Reply to "stubnosebrock" Please contact the Brockway Museum if you have any information about Brockway electric trucks. Last edited by JT Hall on Tue Jul 17, 2018 8:15 am, edited 8 times in total. 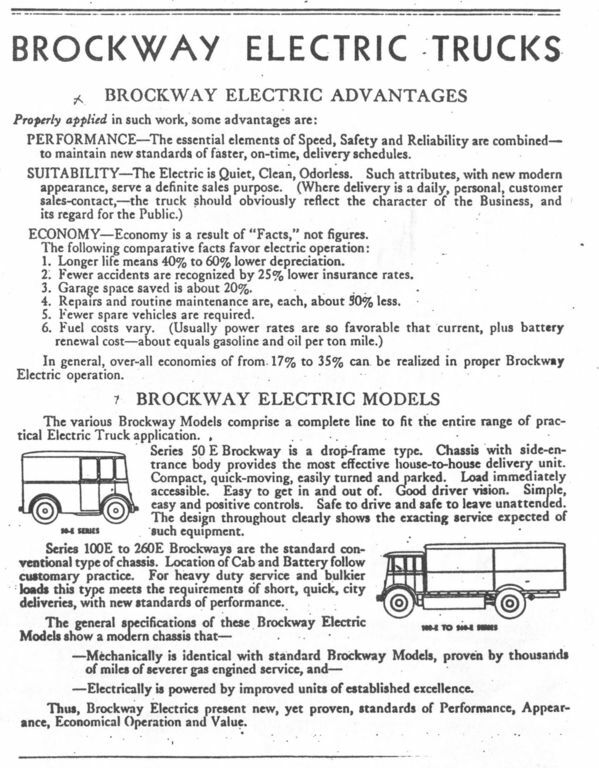 There is very limited information on Brockway electric trucks. The only info I remember seeing was in the Herman Saas book. 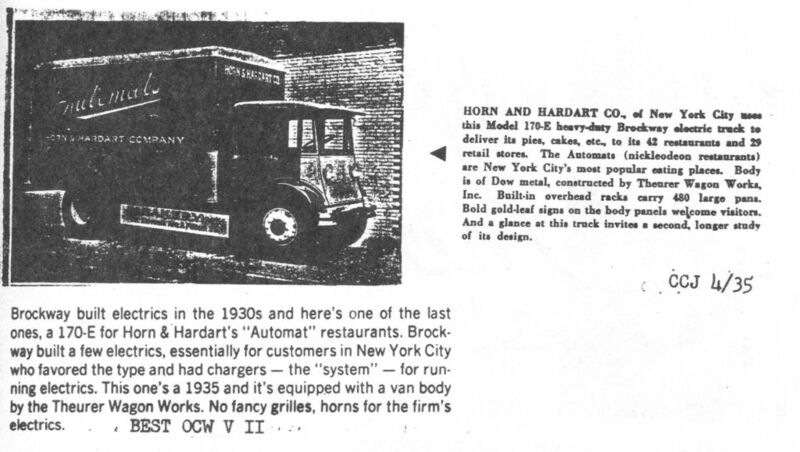 The only Brockway rarer than the elusive Metropolitan!!! I didn't know that they even made one. Cool stuff...imagine it in todays market? Brockway would still be "truckin" along!!! Hmm, i guess this means the one I have is pretty rare then. Fantastic! I had no idea they existed. stubnosebrock wrote: Hmm, i guess this means the one I have is pretty rare then. 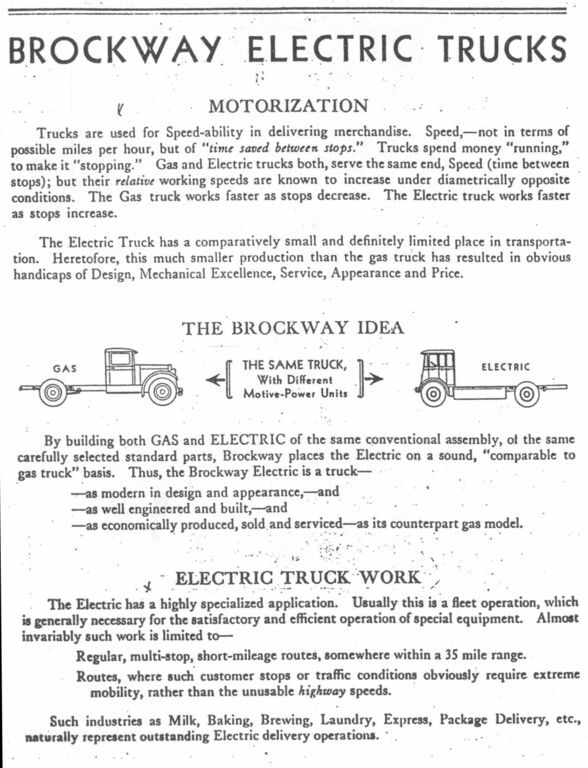 Do you actually have an electric Brockway? How about a picture? No, I wish though, I was just hoping to get some people riled up. I guess it didn't work.